I would say out of my 25 years of left knee problems , Dr.Chaddia is the best Orthopedic Doctor I haveever been to . I would say out of my 25 years of left knee problems , Dr.Chaddia is the best Orthopedic Doctor I have ever been to . 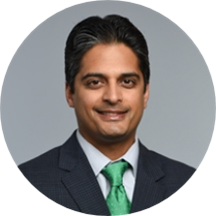 Dr. Chhadia specializes in both arthroscopic and open joint surgery as well as minimally invasive total and partial joint replacements of the knee, hip, and shoulder. He focuses on advanced shoulder and knee conditions and procedures. He is the team physician for five local high schools where he provides sideline game coverage and training room care for young athletes. He completed his Orthopaedic Surgery residency at the University of Illinois at Chicago followed by a cutting edge fellowship in sports medicine from Kaiser Permanente Orange County in Southern California. Dr. Chhadia completed his undergraduate Biomedical Engineering degree at Northwestern University and received his M.D. from the University of Illinois at Chicago. Dr. Chhadia is Board Certified by the American Board of Orthopaedic Surgery as well as the American Board of Independent Medical Examiners. He is an active member of the Arthroscopy Association of North America, the American Academy of Orthopaedic Surgeons, the STOP Sports Injuries Campaign, and the American Orthopaedic Society for Sports Medicine. Dr. Chhadia has attained the prestige of several research publications in peer reviewed journals including featured articles on shoulder labral tears in The Journal of Arthroscopic and Related Surgery as well as on knee ACL injuries in the American Journal of Sports Medicine. He was also a featured physician in Northwest Quarterly’s Winter Edition of their Health and Fitness series. Dr. Chhadia has been invited as a key presenter on joint health, concussions, sports related injuries, on new innovative procedures including the reverse shoulder replacement, and continues to be active in clinical studies. Staff was pleasant. Didn't wait long. The doctor was great. Excellent patient care by all! Xray people were super! It was my first time meeting Dr. Chhadia and he was great! Thank you!! Was great, in and out in the Blink of an eye! Really personable. I can see why he has such great reviews. I wish all my Drs were this pleasant! Very friendly and personable! Very knowledgable and seems very honest! My first diagnosis with a different Dr. told me I would need knee replacement surgery, but after Dr. Chhadia reviewed my records, told me I had a small fracture that would not require any surgery. Thank you Dr. Chhadia! Outstanding experience, professional and knowledgeable - I strongly recommend.